To make sure YOU get our FORUM members FREE LAY TIPS as soon as they are posted – SUBSCRIBE to the “LAY TIPS” Forum Topic. Doing this will ensure YOU receive instant email notifications when tips are posted. Compared to other services – we think the False-Favourites Betting Success club represents fantastic value. You can gain access to all our profitable information for just £7.99 a month! That`s not a typing error… YOU can get all of these exclusive tips, betting strategies and how-to guides for just £0.29 pence per day! 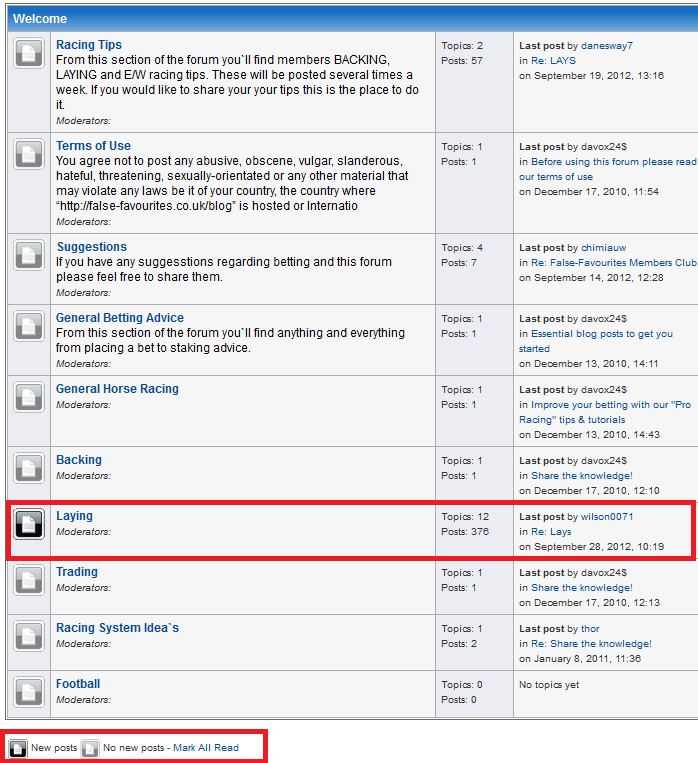 ….Click here to join The False-Favourites Betting Success Club today?